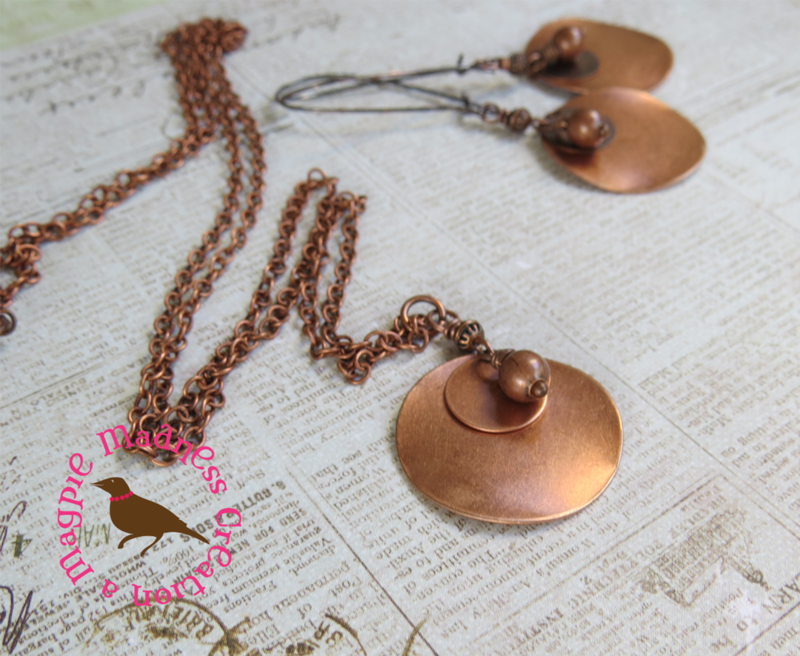 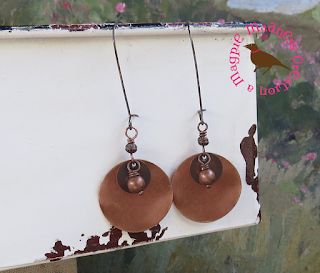 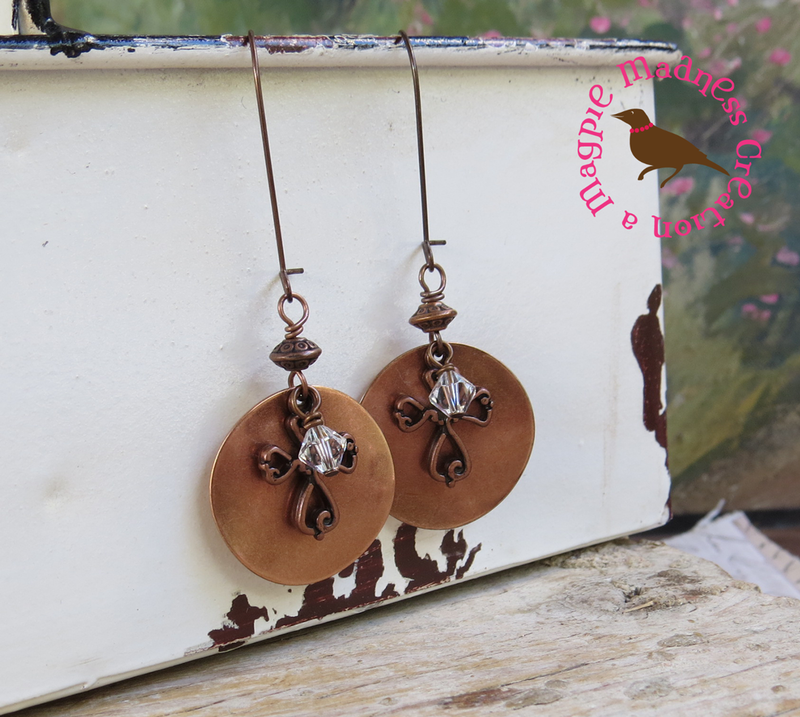 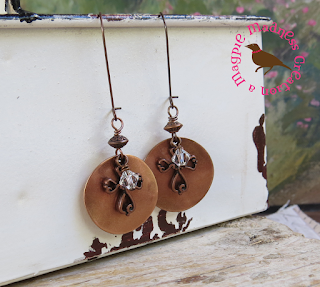 These are funky rustic double disc copper earrings in a sleek minimal style. I layered two antiqued copper metal discs one on the other and added (as you can see from image #1) three different options 1) an antiqued copper 5mm ball bead, 2) an antiqued cross and crystal, and 3) a simple puffed heart. All of which I wired to an additional bead and hung, from 1.25" kidney wires. 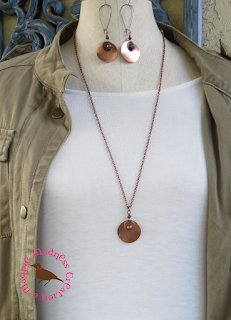 Fun and Funky. 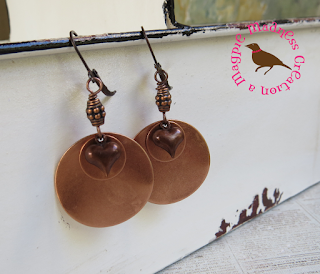 The hearts shown are with the leverback earwires. But...choose your ear wire preference at checkout. Largest disc is 26mm in diameter. 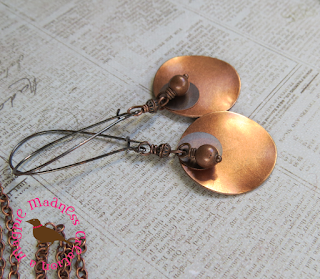 With the 1.5" kidney wires, earrings hang right at 2.75 inches. 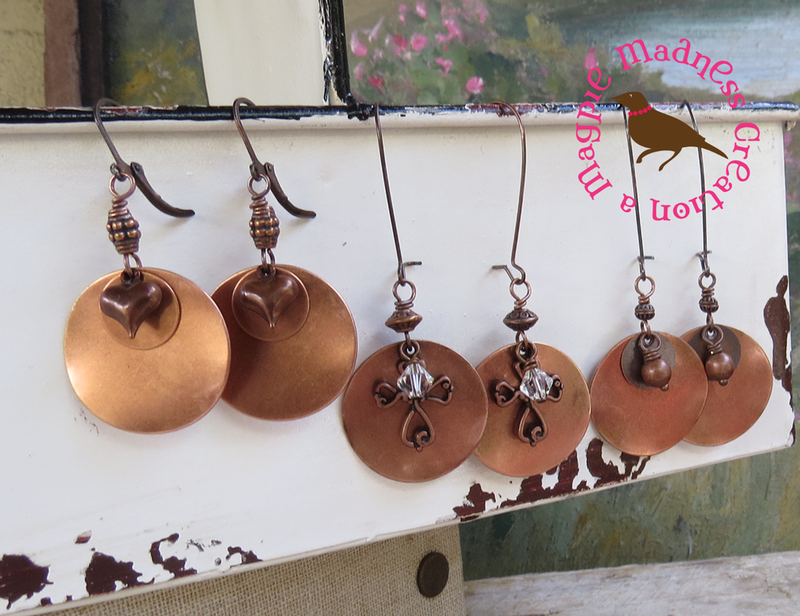 Choose your favorite pair here.